The next Annual Victorian Ball will be held on leap day Saturday, February 29th, 2020! What is a Victorian Ball? But I don't have a partner! But I don't have any formal wear? But I don't know those dances? Practice the basics of country dancing, plus a quick introduction to waltz! This class is FREE for anyone purchasing a ball ticket!! Make checks out to Triangle Vintage Dance and mail to: 5016 NC Hwy 86, Chapel Hill, NC 27514. Pre-registrations must be post marked no later than January 11th, 2019. Note that we don't send out tickets, rather your name will be on a roster at the door. Admission at the door will be $30/person. Cash or checks ok, no credit cards at the door. If you have any questions about the ball, please don't hesitate to contact us! call (919) 9-DANCE-2 [932-6232], email us or view the FAQ page. Carpools can be arranged from Duke & UNC. Email Dawn for more info. 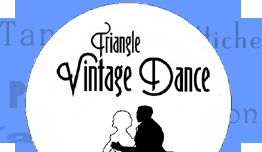 Thank you for visiting Triangle Vintage Dance! See you on the dance floor.